On 3 May, Sita Tamang put her eight-month-old son Saroj to sleep and went to fetch water downhill from the family’s temporary shelter in Bhote Namlang of Sindhupalchok. While she was away, Saroj had woken up and crawled headfirst into the fireplace. The medical store in the village could not offer treatment, so the family paid Rs 12,000 to get the baby to the ICU at Kanti Children’s Hospital. He had 35% burns on his head, back and face, but one month since his wounds are healing. Doctors say Saroj need an operation on his head and is still not out of danger. 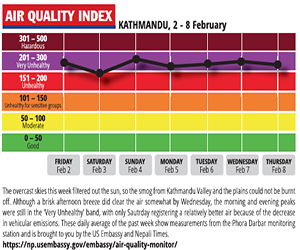 Since the earthquake, there has been a surge in burn cases from earthquake affected districts around Kathmandu. This week, five patients in the 22-bed Burn Ward at Kanti Children’s Hospital were injured in earthquake shelters. “Most accidents happen when the parents are not paying attention, but living in temporary shelters has added risk factors as preventive measures are not in place,” says says Gauri Karki, nurse in-charge of the ward. As earthquake reconstruction moves at a slow pace, more than 1 million people are still living in crowded and cluttered shelters without electricity and where the kitchen is in the living room. This puts the family, especially the children, at greater risk. “In the first two to three months after the earthquake, we had cases of people living in temporary shelters, lots of scald burn cases at that time,” says Peeyush Dahal of the Burns and Surgery unit at Bir Hospital. This adds to the economic burden of families already too poor to rebuild. Both the Tamangs and Balamis had to take loans to pay for the treatment of the boys. The cost can be long-term when operations and physiotherapy are needed. “The bills have come to Rs 80,000 so far and the doctors say we need to stay a few more months, and we still have to take care of the family back home,” says Jagbir Tamang, Saroj’s uncle. Both Balami and Tamang say the accidents could have been avoided if they were still living in their own houses. “Although our house was one storey, we had properly divided the rooms and the kitchen, if it were still standing, my nephew couldn’t have crawled that far to the kitchen without one of the family members seeing him,” says Tamang. Nine-year-old Akshya Kumar Balami’s family lost their home in Okharpauwa of Nuwakot in the earthquake. The temporary shelter has no electricity. Early in the morning of 23 May, Balami lit an oil lamp when his shirt caught fire. The only health post in the village wasn’t open and the buses were not running. The family brought the boy to Kathmandu in a garbage truck. Nepalis were lucky the earthquake hit on a Saturday when schools were closed. Kathmandu was saved because when it struck at noon most families had already finished cooking, and the predicted devastating post-quake fire did not engulf the city. The lack of a skin bank in Nepal also hinders burns care. People with burns covering more than 30% of their bodies need donor skin for grafts. 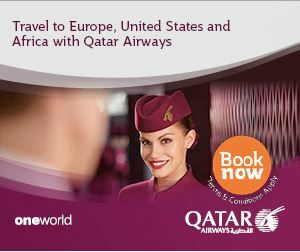 Usually, patients don’t know where to go for specialised treatment. “There is so little burn care in Nepal that by the time they get to the hospital, it may be several days late by which time the wound may be infected,” says Wendy Marston of the charity, Burns Violence Survivors. Cost of treatment is unaffordable for most patients. For a victim with 10-15% burns, the hospital stay can last more than a month with costs up to Rs 200,000. Even if they survive, many need psycho-social counselling to deal with the trauma and physiotherapy. Bicky Alam,19, worked in a garage in Baglung and last month had just emptied the petrol tank of a car when one of the drivers lit a cigarette. Alam was badly burnt and was rushed to Pokhara and after four days transferred to Sushma Koirala Memorial Hospital (SKMH) in Kathmandu. As a specialised centre for burn and reconstructive surgery, SKMH gets many referral cases like this from all over the country. 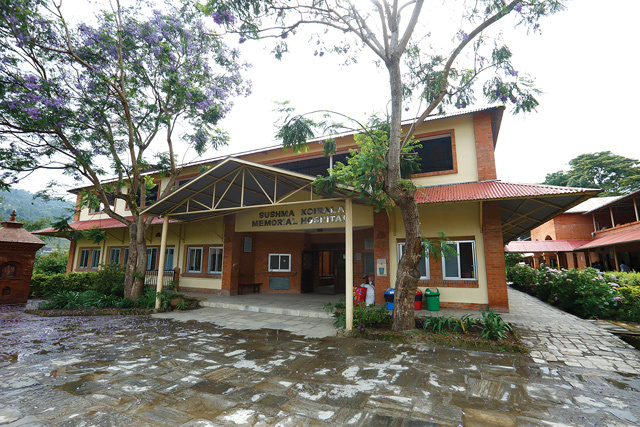 The hospital is named after the wife of former prime minister Girija Prasad Koirala, who along with her sister died when their kerosene stove caught fire in Biratnagar in 1967. The hospital is supported by Interplast Germany Foundation and has performed over 23,000 surgeries since it opened in 1997 and runs surgical camps country-wide. “Our main aim is to provide holistic and good quality service at low cost because most patients are poor,” says Medical Director Jaswan Shakya. A hospital committee assesses low-income cases and decides how much aid to provide each family, ranging from free surgery, medicines and hospital beds to a complete waiver. “Sometimes there are cases where we have had to provide return transport for the patients,” says Shakya. SMKH costs a fraction of private hospitals because of donor support from Germany: beds start at Rs 60 per day. Apart from specialised care in burns and reconstructive surgery, the hospital is trying to pay for its burns care by diversifying into gynaecology, dental, psychiatry and mental health. A two-bed ICU is also under construction so that patients with infected wounds can be treated. Burns are one of the most common and neglected health crises not only in Nepal but globally. According to the World Health Organization, 11 million people world-wide sustain burn injuries every year, 95% of these occurring in low and middle income countries. According to the Ministry of Health, more than 55 thousand people sustain burn injuries every year and 2,100 people die of them. 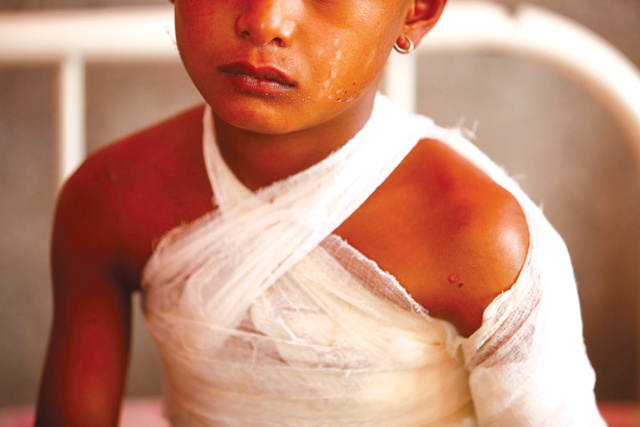 Burns are the second most common injury in rural Nepal, accounting for 5% of disabilities. 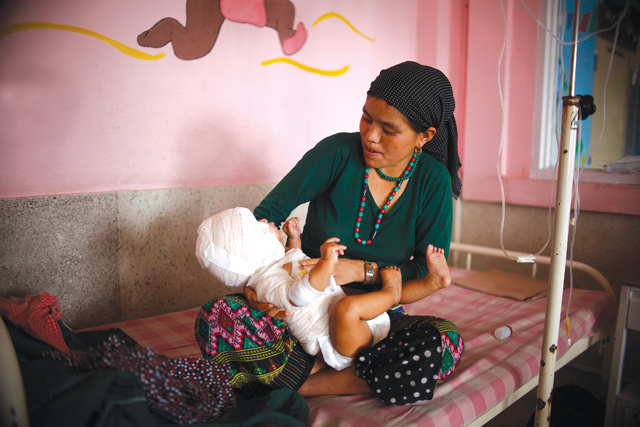 “It is a forgotten health crisis that is neglected by the government and the international donor agencies,” says Dr Jaswan Shakya of Sushma Koirala Memorial Hospital, the only hospital dedicated to burns and reconstructive plastic surgery. “While there are a lot of programs for uterus prolapse, polio and tuberculosis, burns injury doesn’t even make the cut,” he adds. In Nepal, 82 per cent of burn injuries are accidental and a majority of these still happen in the kitchen, via leakage of gas, open fires, explosion of kerosene stoves and people catching fire while cooking. Twelve per cent of burn injuries are suicidal, among which 75 per cent are women, and 1.2 per cent are homicide. Given that it is a major health issue, most of the hospitals in Nepal are either ill-equipped or don’t have the facilities to treat burn injury, which requires immediate specialised care to minimise mortality and disabilities. Often times, hospitals lack critical care units for burn patients and many critical patients who need to stay in an ICU, are often turned away by hospitals fearing infections to other patients. Burns care is also paralysed by the delayed referral system. “There have been times when some hospitals have referred patients to us too late because of which they have been amputated or even lost their lives. They try everything they can and only then they send the patients to us,” says Khatri.